The USC Patrol and Response Area is divided into five beats. Each beat, with the exception of Area A, has a Community Relations Officer dedicated to address community issues and improve quality of life. 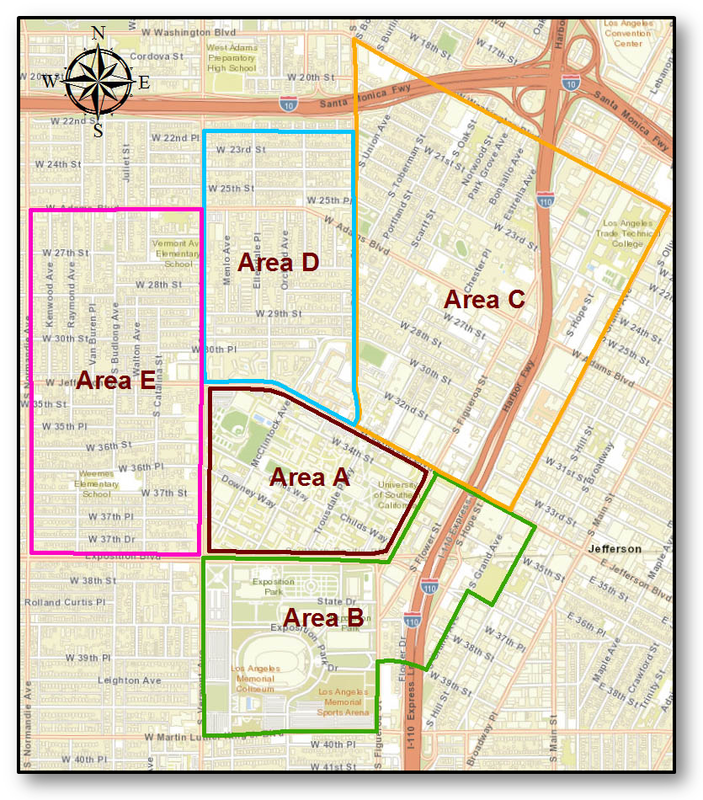 Area A, the University Park Campus (UPC), is divided amongst all Community Relations Officers. Community Relations Officers work to build and maintain relationships between DPS and the USC Campus Community.